OAKLAND, California, August 18, 2016 (ENS) – Actors Mark Ruffalo and Leonardo diCaprio are supporting a new grant-making program for community-based groups in the United States, Mexico, and Canada who are on the front lines of the fight for clean energy and climate justice. One year after establishing itself as a climate and clean energy funder, The Solutions Project is launching the Fighter Fund, designed to be a highly responsive source of money that “invests in change makers as change is happening,” the funder said in a statement Wednesday. Plans call for the Fighter Fund to respond to most applicants’ requests in days, instead of making them wait for months as traditional philanthropic funders do. “Often philanthropy can’t keep up with what’s happening on the ground,” said Tyler Nickerson, director of investments and state strategy at The Solutions Project, a national nonprofit organization dedicated to 100 percent clean energy for all. “The Fighter Fund is designed to make small grants at key movement moments so that homegrown, frontline groups working with regular people from Alaska to Alabama to Alberta can empower and mobilize communities,” said Nickerson. The grants, topping out at $15,000 each, will be available on a rolling basis. Groups are encouraged to apply when this money would make a tangible difference in their work. 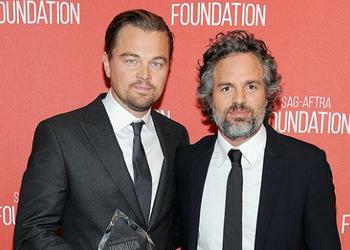 “If we want real change – a sunlight revolution – we have to support fighters on the front lines,” said The Solutions Project co-founder Mark Ruffalo, who came up with the idea and the name for the Fighter Fund and recruited his fellow actor Leonardo DiCaprio and other donors to co-fund the effort. “I’m excited about this innovation in clean energy philanthropy. We’re creating a nimble source of funding that sends money where it’s needed, when it’s needed, to support bold action, collaboration, and leadership in communities across the continent,” Ruffalo said. Nonprofits could successfully apply for funding when they are involved in direct actions or organizing that support a transition to 100 percent clean energy or keeping fossil fuels in the ground. They could be funded for communications, earned media or new media that builds public will and cultural power for an energy transition. Or they could receive funding for movement-building actions such as planning, convening and training activities. The Fighter Fund grew out of The Solutions Project’s first year of grantmaking through the 100% Leadership Fund, which so far has invested nearly $1 million supporting nonprofits working for clean energy in the states of Iowa, New York and California. The 100% Leadership Fund and the Fighter Fund are supported by the Leonardo DiCaprio Foundation, Sara & Evan Williams Foundation, JPB Foundation and Franciscan Sisters of Mary. Earlier this year, 100% Leadership Fund grants went to Iowa groups working on that state’s progress in wind energy. Iowa now gets more than 31 percent of its electricity from wind power, and Governor Terry Branstad, a Republican, is calling for Iowa to hit 40 percent wind power in the next five years. Most recently, The Solutions Project announced fresh 100% Leadership grants to groups working for policies that advance clean energy in the state of New York. As part of the NY Renews coalition, The Solutions Project launched an effort to ensure success for the clean energy targets of New York Governor Andrew Cuomo, a Democrat. Cuomo’s targets include 50 percent renewable energy by 2030, one of the country’s most ambitious goals. The Solutions Project wants to ensure that this effort is of benefit to working families. In June, the coalition cheered as the New York Assembly passed the nation’s most ambitious climate bill, requiring that greenhouse gas emissions from major sources fall to zero by 2050 while safeguarding economic and environmental justice. “The 100% Leadership Fund involves bigger investments and longer-term commitments to organizations across the country,” Nickerson said. “A year after establishing The Solutions Project as a climate and clean energy funder, we are excited to add this new grant program to our portfolio of work,” said Sarah Shanley Hope, The Solutions Project’s executive director. Community-based nonprofits interested in Fighter Fund grants can ask questions of The Solutions Project’s Program Officer, Rudi Navarra, at rudi@thesolutionsproject.org, and can submit applications at http://go100.me/fundthefighters.